So…this is where I blow my own trumpet again…having been the guest on Matthew from Song, By Toad’s guest on his show on Fresh Air FM in Edinburgh this evening, talking about blogging, and music and running record labels etc.. I now come home to do the same. On March 9, 17SEC3 will be released, the download only (for now!) single from Ex Lion Tamer entitled ‘Neon Hearts.’ You can stream it here. This should be available from iTunes and eMusic, as well as many other download stores. Please buy it and support us. Last night, the third act to sign to 17 Seconds Records, The Gillyflowers, were playing a support slot at Cabaret Voltaire in Edinburgh and pulled an excellent crowd. They were excellent and I felt particularly proud to have signed ’em. 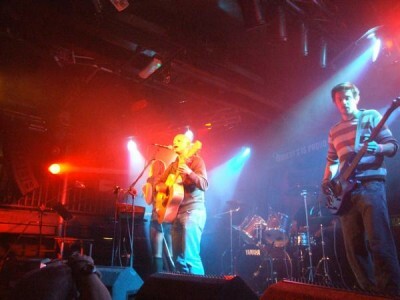 This is them playing at the Voodoo Rooms in Edinburgh, in December 2008, supporting Aberfeldy. Many thanks to Julia for posting this. Oh, and our first act, Aberfeldy, are playing in Aberdeen on March 9. Oh, and the final song Toad played tonight was this. An excellent song with which to finish any show, or a blog post, for that matter. …and here it comes. 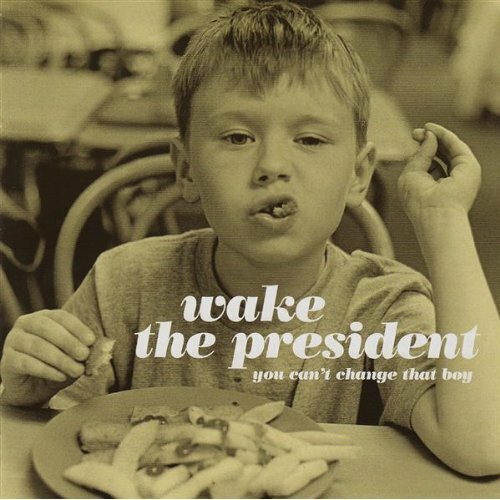 I’ve championed Wake The President since I saw them supporting Emma Pollock at Edinburgh’s Cabaret Voltaire in December 2007. That night, with just two singles to their name ‘Mail Alice’ and ‘Remember Fun?’ they convinced me that here was a band who were going to be going places. 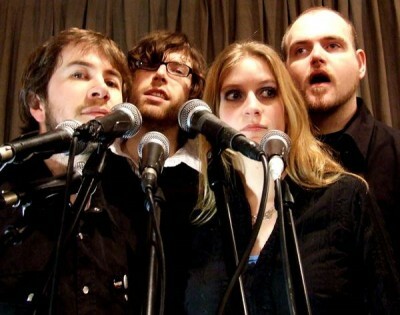 They were signed to Electric Honey, the scottish label that has been the launch pad for, amongst others, Biffy Clyro, Snow Patrol and most famously, Belle and Sebastian. In 2008 they released a split single (the title track), were interviewed by yours truly for this blog and recorded this debut LP with Mr. Emma Pollock Paul Savage (who to date has also worked with Franz Ferdinand, King Creosote, Malcolm Middleton and the Phantom Band). So has it been worth the wait? Yes, in a word. 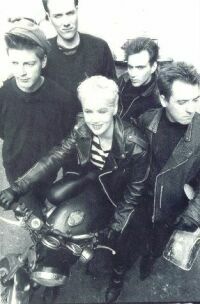 Over the course of ten songs and thirty six minutes, including the three previous singles (and their next, ‘Miss Tierney’) they set out their stall. Comparisons have already been made with the Postcard stable (Go-Betweens/Aztec Camera/Orange Juice et al) but there’s a freshness here that says WTP are more than just another band stuck in 1981. Which is just as well being as it’s 1982, at least that was the concensus from the music business in January. This album has had spins since it pitched up at 17 Seconds Towers a couple of weeks ago, and it grows on each listen. You’ll love it more with every listen you give it, too. It may only be February, but this is shaping up to be a bumper year for the scottish indie scene already. And – make no mistake – Wake The President are up there with De Rosa and the Phantom Band. You Can’t Change That Boy is out on March 9 on Electric Honey Records. This scottish act consist of Scott Maple on Vocals and Guitar, Al Nero on Vocals and Guitar, Lindsey Scott on Bass and drummer Jason Sinclair. Shamefully, I have been meaning to write about them for weeks, put with the dawning realisation that If I love this track I should be writing about it and encouraging people to go and buy it if they like it, I really should get on and do so. And no, no mp3s here, go and buy the singles and the album. …yes, it has been quiet for the last few days here. Mrs. 17 Seconds and I headed down south to London to catch up with friends and family (not that the two are mutually exclusive, you understand). I love visiting London, but boy does it bring home to me that Scotland is home. Anyway, we are now back, and glad to be reunited with our cats, who have been, once again, been looked after by Ken from Aberfeldy, who is a legend. There will be more posts here (including a review of the forthcoming debut from Wake the President) very soon. In the meantime, I had the journey from King’s Cross back to Edinburgh soundtracked by the 1980 Festive Fifty (all, um 65 tracks of it). I fell for Kate Bush’s music -and her-aged eleven. A now defunct but long-running UK show called The Chart Show (which doesn’t sound a radical name for a music show, but it had no presenters, which seemed pretty radical in 1988) show had a feature where they would show three videos from one artist, and one day they showed Kate Bush’s videos for ‘Babooshka,’ ‘Running Up That Hill’ (which I knew because it had been the theme tune to what I can only describe as a children’s thriller called Running Scared) and ‘The Big Sky.’ I rented a video of The Whole Story from the local video shop (look, it was twenty years ago, there was no YouTube)…and that was me smitten. Thing was, i had to keep on investigating. The Whole Story -which partly soundtracked the beginning of my relationship with the woman who is now Mrs. 17 Seconds – does not have all her hits on it, even for the time. So a few that should have been on it, I think. Is this the great lost Kate Bush single? About the only one of her singles never to chart in the UK, from her weird and wonderful fourth album The Dreaming, I think this is one of her best. This song was the final single off The Hounds Of Love album, which might explain its’ fairly low chart placing. A fairly low chart placing but she’s clearly having fun. …do I have your attention? A few weeks ago, I wrote about just how excellent the six track release from Nightjar is. 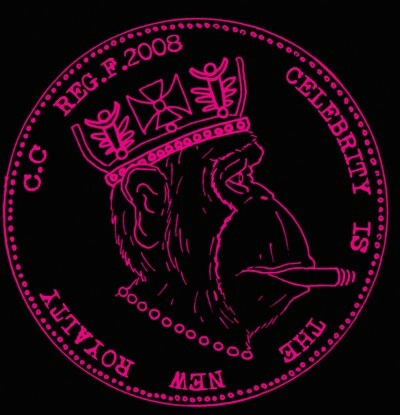 This is Andy McKay’s latest release, a five track EP ‘Celebrity Is The New Royalty.’ Absolutely fantastic it is too, and it’s already had support from Song, By Toad. Is it punk, folk, bluegrass? Who knows, but it’s damn fantastic and gets the thumbs up from me. You can buy this release from CD Baby where you can hear all five songs. You can also hear two songs on their myspace and you should definitely pop along and make friends. And, as ever, please let me know what you think! It’s a funny old world. Six months ago, I posted the Motorcycle Boy singles, which prompted one reader, David, to say why didn’t I do 17 Seconds Records? 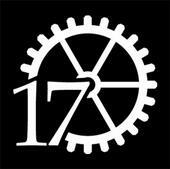 Here we are six months later, and whilst I have yet to licence the back catalogue of Motorcycle Boy, I do have 17 Seconds Records up and running. This has been on my ‘to do’ lists of bands I have wanted to write about for sometime, so now that I am now on holiday for the next ten days (thank God) hopefully I will be able to work my way through this list. Team Turnip is the very fine one man project of one Russell Kostulin who sings and play a whole variety of instruments ‘including guitar, piano, bass, violin, viola, recorder, melodeon, keyboards, percussion but not drums, banjo, mandolin’ and whatever else he can get his hands on. Currently unsigned, this is rather fine stuff. If asked to point to similarities (always hard to do without running the risk of causing offence, arguments or both) I would suggest Nick Drake, early Badly Drawn Boy and Broken Records. One track which I don’t have an mp3 of, but you can hear streamed over at the myspace is ‘My Ruddy Valentine’ which seeing as today is February 14 and all, you should go and hear. Let me know what you think. If you like it, go and make friends! William S. Burroughs – more rock’n’roll than most rock’n’rollers? It’s funny, but my love of rock music over the last twenty years has also had an impact on films I watch and books I read. I knew I had to see and read A Clockwork Orange, so many bands referenced it. I fell in love with the Cure’s music at fourteen, and eventually read Albert Camus’ The Outsider (and maybe there was the hope that having read these books might make me seem a little artier -and maybe that might make me cooler. Some hope – but there was a time when NME was much more book and film orientated than it is now.) People like David Bowie not only convinced me that maybe I should persevere with Philip Glass’ music, but also referenced William Burroughs. Who of course collaborated with Kurt Cobain from Nirvana (who led to me discovering the Raincoats and the Vaselines -culture is not born in a vacuum). I’m not an authority on William Burroughs -the only book of his I’ve read is The Naked Lunch (at university I read this back-to back with American Psycho and The Bell Jar; no wonder I thought I was going mad). A certain device in that book gave Steely Dan their name. Patti Smith name-checked him – just how cool was this guy? So, fired up by a Primer of his recorded works in issue #300 of The Wire, I humbly present three Burroughs-related recordings from the 1990s. Burroughs’ last rock’n’ roll engagement, shortly before he died, was being in the video for U2’s single ‘The last Night On Earth’ which can be seen here with Sophie Dahl. 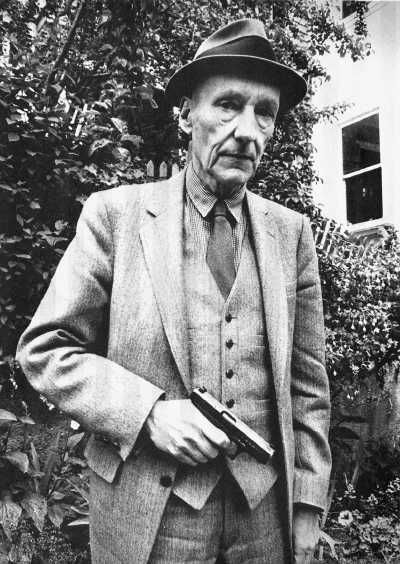 Should you want to hear more William S Burroughs’ work try here at the mighty UbuWeb. …This time, the source wasn’t my inbox, but tips I got from reading the NME website. 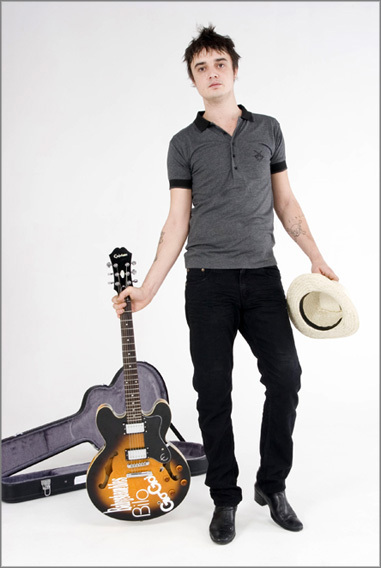 First up, this is a free download from Peter Doherty’s forthcoming solo album Grace/Wastelands. Whatever you think about the ongoing soap opera that seems to surround him, I think this track will surprise you, in a good way.